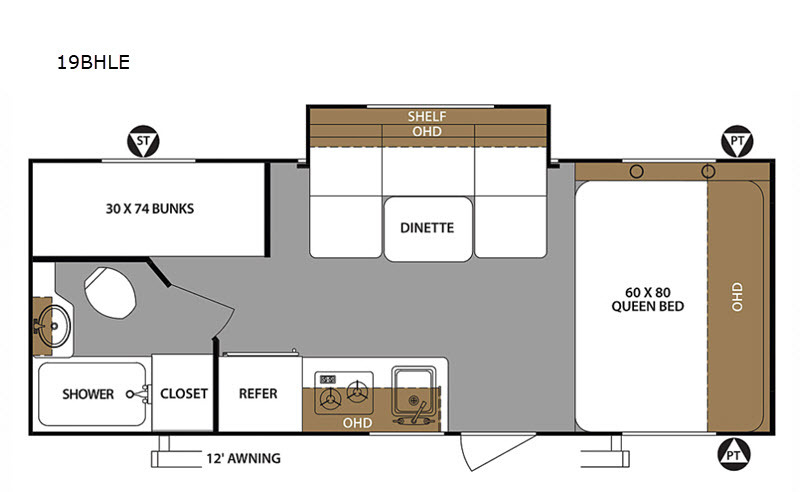 For a truly fun and relaxing camping trip, choose this Surveyor 19BHLE travel trailer that includes bunk beds for the kids. 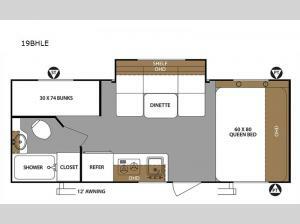 The queen bed at the front of the trailer is just the right size for a good night's rest. Everyone can gather around the U-shaped dinette within the slide out for a meal together, as well as transform into an extra sleeping space at night. This travel trailer includes multiple overhead compartments, and an exterior pass-through storage for your larger camping gear. After a long day of exploring, clean up in the full bath then head outside to sit under the 12' electric awning with family.